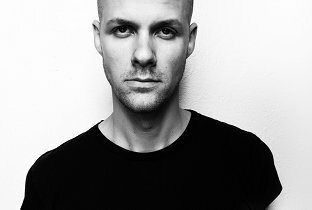 Adam Beyer’s last London show in October 2011 – part of the ’15 years of Drumcode’ tour, is still being referred to as one of the best events of 2011. 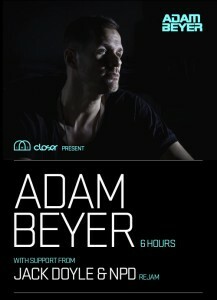 He returns on April Bank Holiday Sunday now for a closer more personal outing, playing a 6-hour set in intimate surroundings. This will be a rare chance to see Adam step away from peak time headline sets, giving him the opportunity to really work through his vast record collection and offering you a insight into his passion. As you can imagine this night is going to be very special indeed – plus its on the bank hol Sunday so no work in the morning.. YAY! If you haven’t got a ticket then you’d do well to grab yourself one ASAP (ticket links are below) OR you can take your chances and enter our competition to win a pair courtesy of Plain & Simple! 2) Head over to our Facebook Page and click on the competition tab to enter! Win Tickets to Get Diverted Four Years On The Terrace Celebration! Win tickets to the DMC UK DJ Final at Scala!